With special thanks to Rustans and The Beauty Source, me and the girls (Ana, Tracy, Pax) were able to enjoy an afternoon of pampering at Emphasis Salon inside Rustans Makati. We were given free gel manipeds c/o Deborah Lippman and hair color + treatment c/o Phyto Color. I was a bit iffy about getting my hair dyed at first since I was so happy with the way Ms. Rose of Juro Salon colored my hair. 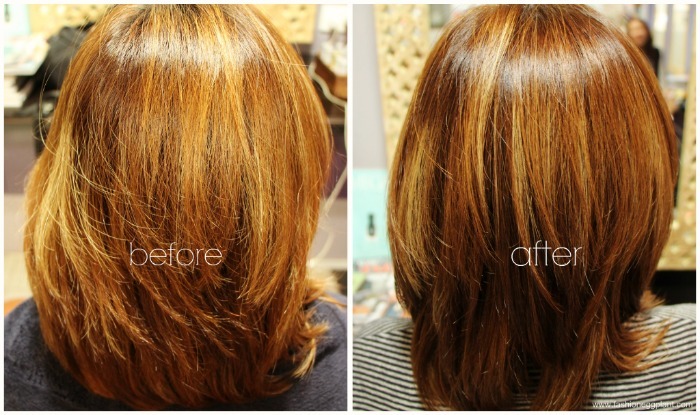 My initial plan was to get a treatment but as their hair colorist pointed out, my roots were beginning to show so I gave in and got a root re-touch. Here's my review. 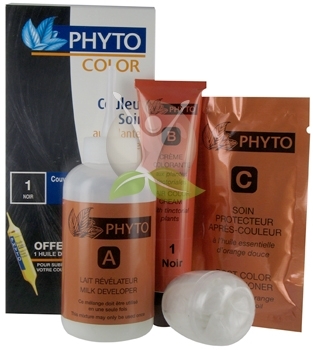 The thing you need to know about Phyto Color is that it actually is a home dye kit just like the ones you find in most drugstores. The only difference is that instead of chemicals and artificial pigments, Phyto Color uses botanical pigments as well as an innovative and gentle formula that provides 100% perfect coverage for gray hair with long-lasting results, while respecting your hair's sensitivity. There are 18 different shades to choose from so wether you want to be a blonde, brunette or redhead, Phyto has the color for you. It works pretty much the same way as other dyes with a developer and creme colorant, very easy to use. The kit also comes with gloves and Phyto's award winning conditioner. And the result: shiny, more natural looking hair. I was quite surprised that they were able to match the color of my hair actually, I didn't think it would get that much lift. Phyto Color retails for around P795 which makes it very affordable compared to other botanical dyes in the market. It's also a lot simpler and cleaner to use then home Henna treatments plus it really makes your hair a lot softer and shiny even without treatment. It's also gentler on your hair, scalp and the environment so I highly recommend it. 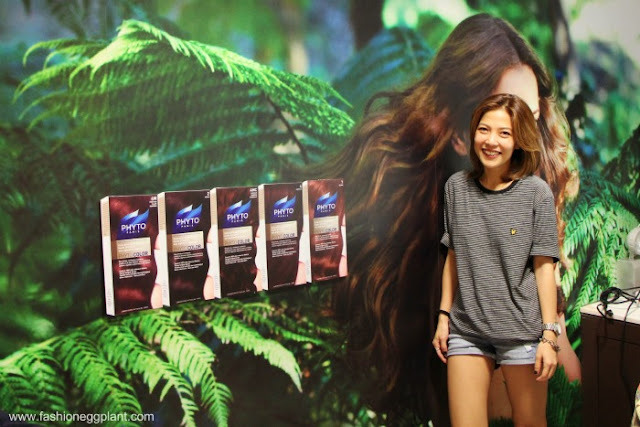 Phyto Color is available at The Beauty Source in all Rustans Department Stores nationwide. Hey thanks for sharing. I had my hair done using Phyto color 7 light blonde. Pros: I am allergic to hair dyes that have PPD - severe, as in my skin swells within the hour of contact, then it turns into head wounds with pus and burning sensation that goes on for nearly a week. This one has PTD. I did react to it but it was a mild allergic reaction. Red rashes, no swelling. Cons: The color runs abit dark and I should have picked an 8 or mixed the 7 with a 9. The mixture is very gooey so its better to get a colorist to do the job so the dye gets spread evenly. Is it free from ammonia and peroxide ?